On April 9, Ashgabat hosts a High-Level International Conference on the Prevention and Control of Non-Communicable Diseases. Run in our country, this highly reputable forum provides yet another illustration of Turkmenistan’s immense international prestige and widespread support for President Gurbanguly Berdimuhamedov’s progressive policy, whose major aspect is to protect and enhance the health and wellbeing of every citizen and the nation as a whole. The Conference is also clear proof of the global community’s great interest in Turkmenistan’s achievements in the healthcare sector, and recognition of the Turkmen leader’s meaningful contribution to developing fruitful regional and international cooperation in this priority sphere. Carried out in phases, the Saglyk State Healthcare Program is the cornerstone of these advances. Efforts to reform the healthcare system as part of the Program, which culminated in easy and equal access to high-quality medical services for the population, have helped to improve the nation’s general health and average life expectancy. To this end, detailed strategies were worked out to cover a wide spectrum of areas from promoting a healthy lifestyle in society to ecology and nature conservation to novel management methods in this field. In the early stages of the Saglyk Healthcare Program implementation, the country enhanced its primary medical services, and built up its modern health-resort infrastructure and pharmaceutical industry. To ensure an adequate supply of qualified specialists to the industry and to set up an information system, the regulatory framework was updated and reformed. These are the Program’s main implementation stages: in 1995-1997 the country adopted a family doctor scheme to deliver primary health care, and a voluntary health insurance system. A series of measures were employed to make good use of bedspace. In 1998-2000, a network of up-to-date healthcare facilities with advanced technology was created. The health resort sector gained renewed impetus for development. In 2001-2004, the public health infrastructure saw steady improvement. The primary focus was on disease prevention. In 2005-2010, a series of comprehensive measures demonstrated the economic effectiveness of medical services provided to the public. In 2010-2014, the ongoing reforms enabled the national healthcare system to enter the international arena, to vastly expand and boost cooperation in this field with the world’s leading companies and health research centers. The country achieved remarkable success in preventing and controling non-communicable diseases. Healthcare Workers’ Day, annually observed in Turkmenistan on July 21, also marks the adoption of the Saglyk State Healthcare Program. The country hosts international exhibitions and research-and-practice conferences to celebrate the occasion. Following in a fine tradition, new healthcare institutions are scheduled to open officially ahead of the holiday. To build the healthcare sector’s information system, ensure efficient administration and management and improved statistical services, the electronic records and document management system has been designed on instructions from President Gurbanguly Berdimuhamedov. It links electronically State Medical University, health houses, hospitals, health resorts, and digitally stores personal medical records. The launch of the national satellite, TürkmenÄlem 52°Е, has enabled to make the most of telemedicine and distance learning technologies to train specialists, to exchange expertise and to offer professional medical advice to patients. The qualitative distinction between medical services provided in cities and those in rural areas has erased over the years. Healthcare institutions that open their doors countrywide boast the latest and high-precision equipment. Thirty-plus new prevention and treatment methods and rehabilitation techniques have been adopted in national practical medicine. 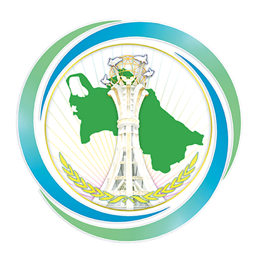 Under the Program of Socio-Economic Development of Turkmenistan and the Saglyk Healthcare Program, the State Sanitary and Epidemiological Service is undertaking massive efforts to meet WHO standards. The Service also boasts improved facilities and infrastructure. Our country has adopted the Laws on Food Quality and Safety, on Safe Water Drinking, and on Radiation Safety. Turkmendermansenagat Association is composed of a pharmaceutical enterprise, Saglyk; a joint enterprise, Turkmenderman Ajanta Farma Ltd; an agro-industrial complex, Buyan; an enterprise, producing bottled mineral water, Berzengi; a pharmaceutical enterprise, Tenekar; enterprises producing disinfectants, sterile dressing material, iodine solutions; a medicinal clay- and sea salt-packing plant. President Gurbanguly Berdimuhamedov-authored many-volume encyclopedia, “Medicinal Plants of Turkmenistan”, has become an indispensable reference book on herbal medicine for doctors and research workers, and a unique bridge connecting scientists from many countries. Our health resorts also employ a wide range of natural treatment methods, such as heliotherapy, psammotherapy, thalassotherapy, aerotherapy, hot stone massage therapy, balneotherapy, and phytotherapy, etc. The key objective of the Saglyk Healthcare Program is to raise public awareness about health issues. To this end, the Information Center of the Ministry of Health and Medical Industry was established in 2000 to coordinate the awareness-raising efforts focusing on different disease prevention strategies, preventive measures to avoid complications, etc. The national media and public organizations are actively involved in the activities. In 2015, a Multisectoral Interagency Working Group on the 2015-2020 Saglyk Healthcare Program was set up under the Presidential Resolution, and its Action Plan (including health education activities) was approved. The Group includes infectious disease specialists, endocrinologists, pulmonologists, general practitioners, oncologists, narcologists, family doctors and other medical specialists, as well as representatives of the Youth Organization, the Women’s Union, the National Center of Trade Unions of Turkmenistan, etc. Students of secondary and vocational schools, universities, and working professionals are routinely engaged in the health awareness campaign. The scientific journal, ‘Healthcare in Turkmenistan’ and the popular magazine, ‘Saglyk’, come out six times a year. Information booklets and instruction leaflets on (healthy eating, physical activities, gymnastics, swimming, running, walking, apoplectic stroke, heart attack, diabetes, cancerous tumors, non-specific lung diseases, hypertension, health hazards of tobacco and alcohol, emergency hotlines, and others) are regularly issued and distributed among the public. In coordination with the Information Center of the Ministry of Health and Medical Industry, national television and radio channels broadcast programs featuring doctors, who offer their recommendations on the prevention of seasonal infectious and non-communicable diseases, harmful effects of active and passive smoking, as well as short educational films about the issues. There are also special medical TV and radio shows. For instance, an hour-long TV program titled ‘The Nation’s Health is the Country’s Wealth’, presented by the Information Center, is broadcast twice a week and divided into 11 sections: ‘Healthy Lifestyles’, ‘Doctor’s Advice’, ‘Sports and Health’, ‘Medicinal Plants of Turkmenistan’, ‘National Heritage and Health’, ‘Nature and Health’, ‘Children’s Health’, ‘Tea - a Cure and Inspiration’, ‘Replying to Your Letters’, and ‘International Cooperation’. Each section is accompanied by socially-oriented videos and roller captions with helpful tips. Prepared by the Information Center, some 30 socially-oriented short films and 20 radio programs on the prevention of seasonal infectious and non-communicable diseases, health risks of first-hand and second-hand tobacco smoking, providing cigarette addicts with effective support, are aired on TV and radio channels. The Ashgabat Declaration is known to have been adopted at the WHO European Ministerial Conference on the Prevention and Control of Non-Communicable Diseases on December 3-4, 2013. Turkmenistan also adopted the 2014-2020 National Strategy for the Prevention and Control of Non-Communicable Diseases. Turkmenistan is on the way to becoming a country, free from destructive habits and highly committed to a healthy lifestyle, and mass health and fitness events, a month-long series of sports activities devoted to World Health Day, and other events, including those organized to mark World Bicycle Day, proposed by Turkmenistan and instituted by the Resolution of the United Nations General Assembly on June 3, have an instrumental role to play in attaining the status. Not only does our country create important initiatives for wider international cooperation in the basic interests of all countries and nations, it also takes necessary steps to implement them. The WHO Conference in Ashgabat stands as clear testament to this.